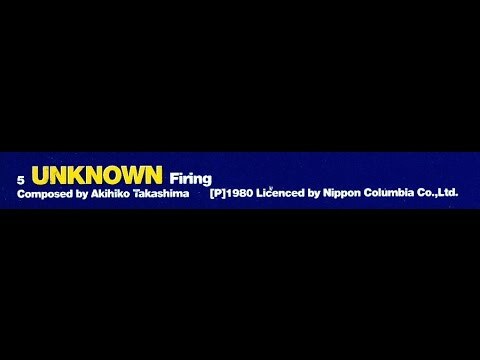 Can anyone help me please and identify the actual artist performing a track supposedly called "Firing". It is listed with the artist name as "Unknown" but has writer credits given as Akihiko Takashima たかしまあきひこ and states (P) 1980 Nippon Columbia Co., Ltd. If so, which track is it as I can not see anything called "Firing" on here. Im 99% sure it's not from that soundtrack, I was only needle dropping through it the other day.